Indaba Music is an online musical community for musicians, that allows they make music, find other professional musical people. 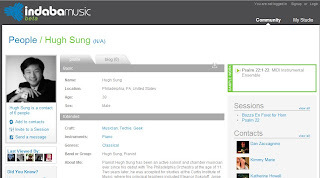 It also for fans, they can find some interesting music and musicians. I did not enter whole site, but something are really interesting. If you are interesting about new music maybe that site is good for you.